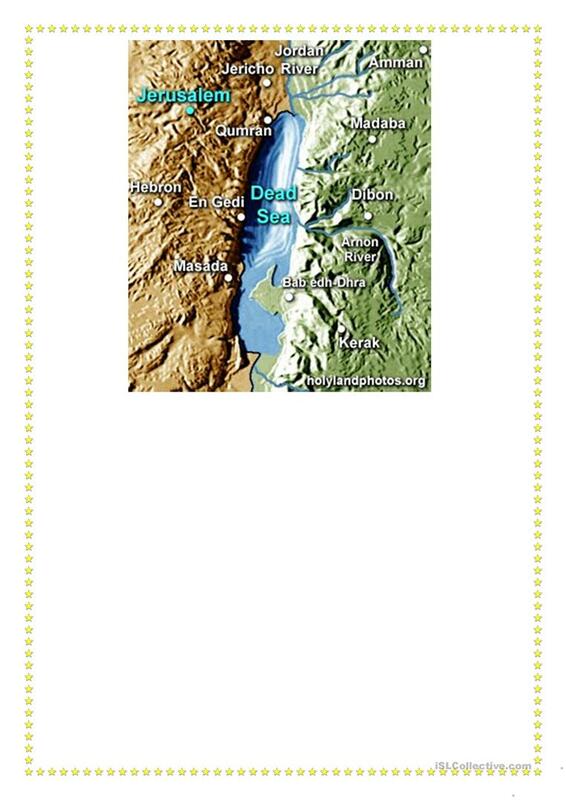 You can read about the Dead Sea. It can be used in the Geographyc lessons. The student must answer some questions about the text, and finally made a map of the area. The present printable, downloadable handout is a great resource for elementary school students at Elementary (A1) level. 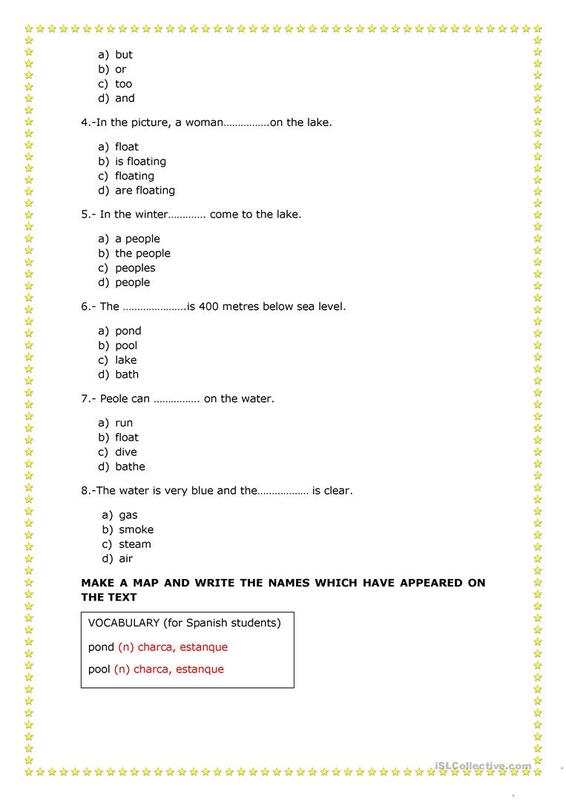 It is useful for working on your groups' Reading and Writing skills. It is focused on the topic and words of Environment.